Money and coins are mentioned many times, and in many places, in the Bible. To the casual reader, these might sound like abstract or symbolic references, but to numismatists (people who collect and study money), they tell stories with deep significance. Coins give us a running commentary on biblical events in a way that no other artifacts can supply.No fewer than 16 of the 40 parables preached by Jesus mention coins or money. Famous author and historian Ken Bressett has examined all of these references.Mr. 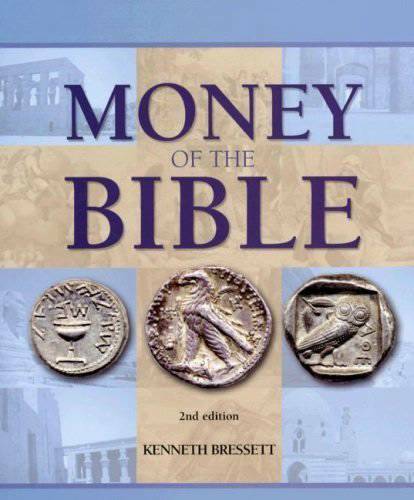 Bressett not only explains the significance of these passages, he also identifies exactly which coins are described, and why they are important enough to be included in the greatest book ever written.